If you never heard of Portable Winch, they are a Quebec based manufacturer of portable winches. 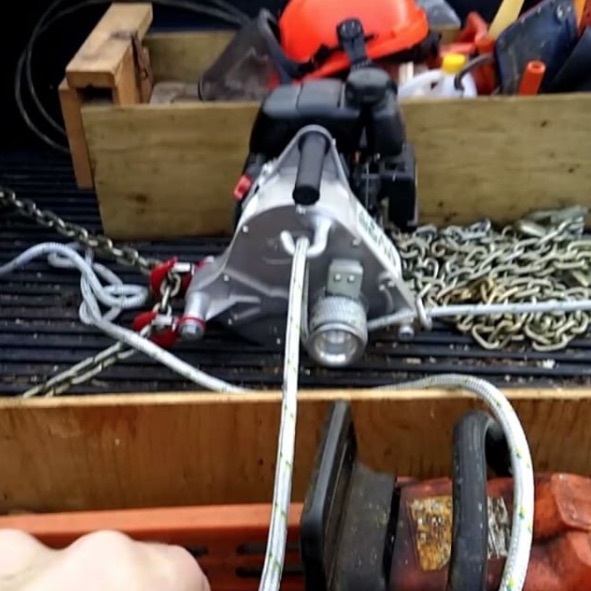 I use this one linked to the truck bed tie downs to pull logs onto the trailer. While pine may be a lighter wood by weight, moving these two logs by hand would be doable but hard work. The winch, makes it easy. You just have to use your head and work smart, keeping out of the way of chains and ropes that might break while pulling. Safety first. Here’s a short video I put on Instagram earlier today. Now what to make from that “blue denim” pine.